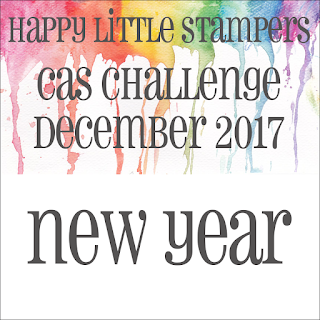 Time for our 'Clean and Simple' challenge at Happy Little Stampers. Here I used the Happy Little Stampers set-Big Bold Numbers. The celebtate die is first cut in vellum and the glitter foam. Had to use the misiti here to get those numbers lined up! Our winner gets a $20 ift voucher to spend in our store. Don't forget to check out all the DT cards here and then come and celebrate the New Year with us! 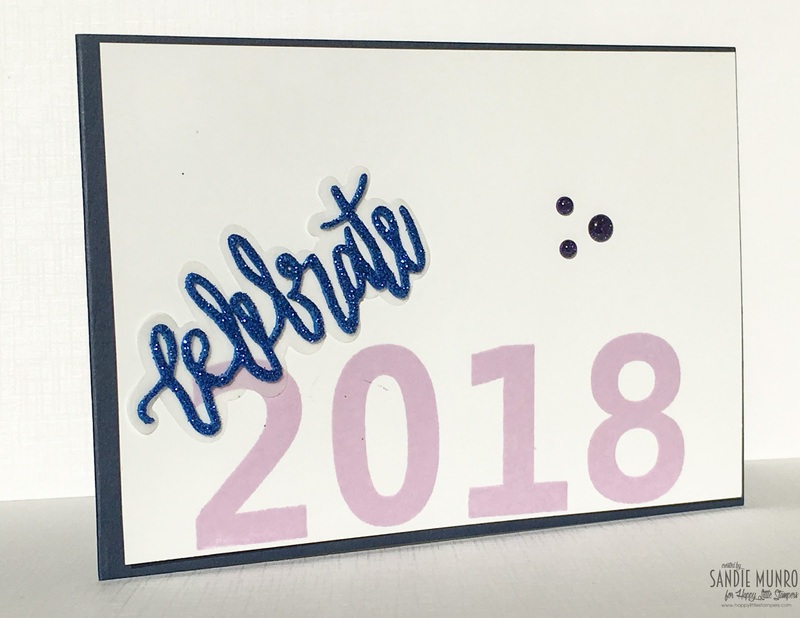 Perfect New Year's card, Sandie; love the bold numbers andthe sparkly celebrate! CAS-ilicious, as always! Great New Year's card, Sandie. The choice of colors is very elegant. A great CAS card! Love this mix of pink and blue, perfect for a New Year card!